When we recently asked dermatologists about the best thing to do for better skin in the future, their answer was unanimous: sunscreen. Says Tara Rao, MD, of Schweiger Dermatology Group, "Excess sun exposure can be responsible for dryness, wrinkles, and discoloration that build up slowly in the skin over time." But pulling any old sunscreen off the shelf isn't the answer. The key is to examine the ingredient list with a fine-tooth comb, which is exactly what Consumer Reports did for its Annual Sunscreen Guide. The company tested over 70 sunscreens for effective UVA and UVB ray protection. (The former is the chief cause of sunburn and a contributor to skin cancer, whereas the latter tans and ages skin and also triggers skin cancer.) 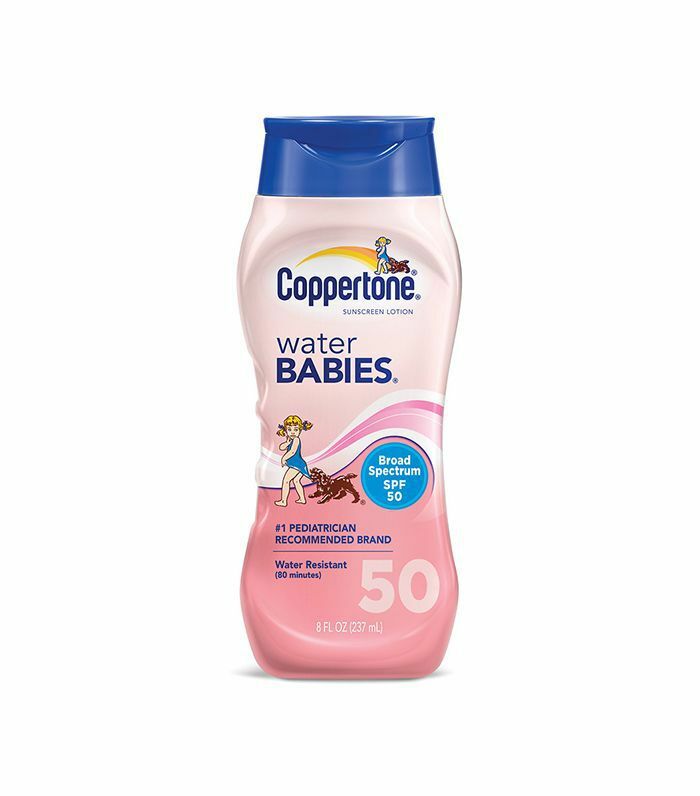 Each sunscreen they tested needed an SPF of at least 30 and had to be water-resistant. To test the protection against UVB rays, a standard amount of each of the sunscreens was applied to six places on the panelists' backs. They then soaked in a tub of water (really), and had six intensities of UVB light from a sun simulator applied to their backs. Then, the next day, their backs were examined for redness. To measure UVA protection, researchers smeared sunscreen onto plastic plates and passed UV light through to measure the amount of UVA and UVB rays absorbed. Surprisingly, 24 of the lotions tested had less than half the SPF than what its label claimed. For context, SPF 30 blocks 97% of UVB rays and SPF 50 blocks 98%—no sunscreen blocks 100% of rays. So if you're using an SPF 50, and it only has half its SPF efficacy, then you're only really getting around SPF 25. 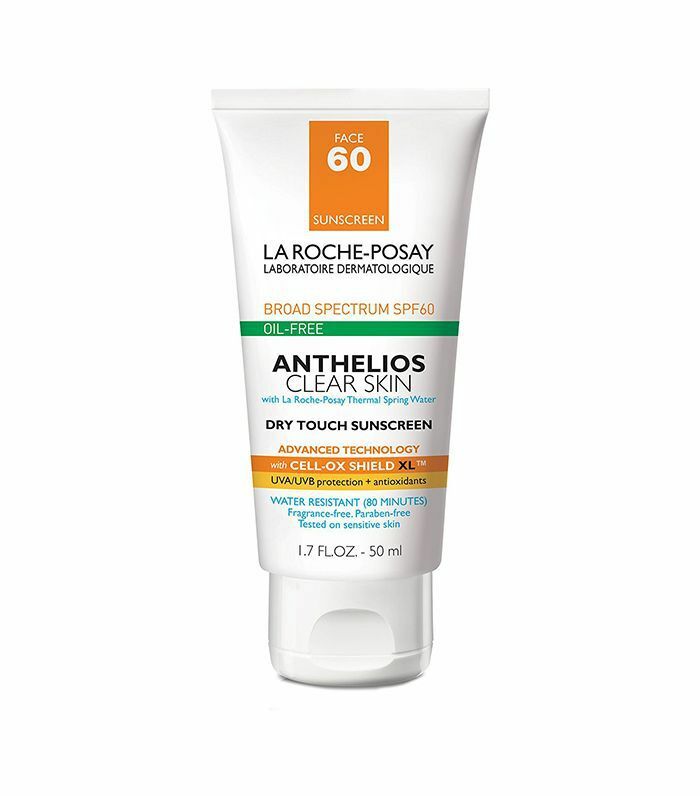 After each of the tests, only one sunscreen received a perfect score of 100% (for the fourth year in a row, actually): La Roche-Posay Anthelios 60 Melt-In Sunscreen Milk ($20). It contains avobenzone, a chemical active ingredient which the researchers have found to be more successful at blocking harmful rays than mineral sunscreens containing ingredients like titanium dioxide or zinc oxide. In fact, none of the mineral sunscreens in the Consumer Reports test did well enough to make its recommended list. Chemical sunscreens have recently come under fire, though. On May 1, Hawaii made history by becoming the very first state to pass legislation that bans the sale of sunscreen containing two specific ingredients—oxybenzone and octinoxate (neither of which are found on La Roche-Posay's ingredient list). The reason for the ban is that these chemicals are toxic to marine life—specifically, coral reefs. It's been speculated that these chemicals can also have toxic effects on human health, but this isn't so: According to Annie Chiu, MD, the chemicals found in chemical sunscreens are not harmful to humans. They have been found to cause hormonal changes in animals. However, short-term research on people did not show any adverse effects. On the opposite end of the argument, though, mineral sunscreens are generally less aggravating and better for sensitive skin and acne-prone skin. So it's a toss-up. Of course, if you're not swimming in the ocean, wearing a chemical sunscreen that contains oxybenzone and octinoxate won't affect the reefs. Both chemical and physical sunscreens have their pros and cons, so it's up to you to choose your route. But should you be interested in the top five sunscreens from the Consumer Reports test (plus some of Byrdie HQ's favorite mineral sunscreen picks), take a look below. Here it is—the clear winner of the test, with a perfect 100% score in UVA and UVB protection, as well as scent and feel. Unlike thick, chalky formulas, this sunscreen milk has a fast-absorbing, velvety texture that melts into skin seamlessly. 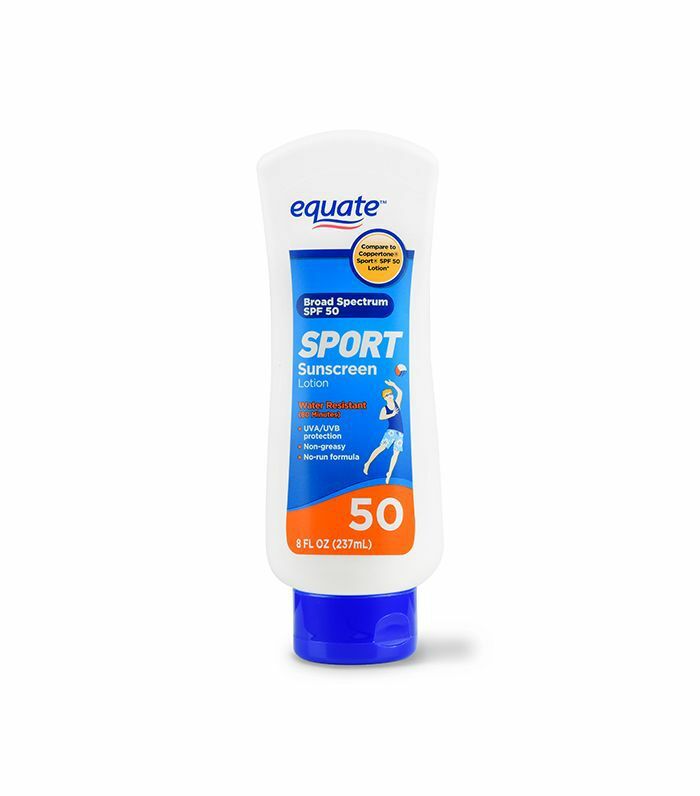 Just a tick under a perfect score of 100 at 99, this $5 sunscreen is a non-greasy, no-run formula. If you're really opposed to rubbing in a lotion on the beach, this quick-drying gel sunscreen is your answer. It's hypoallergenic, virtually mess-free, and scored a 95 from Consumer Reports. 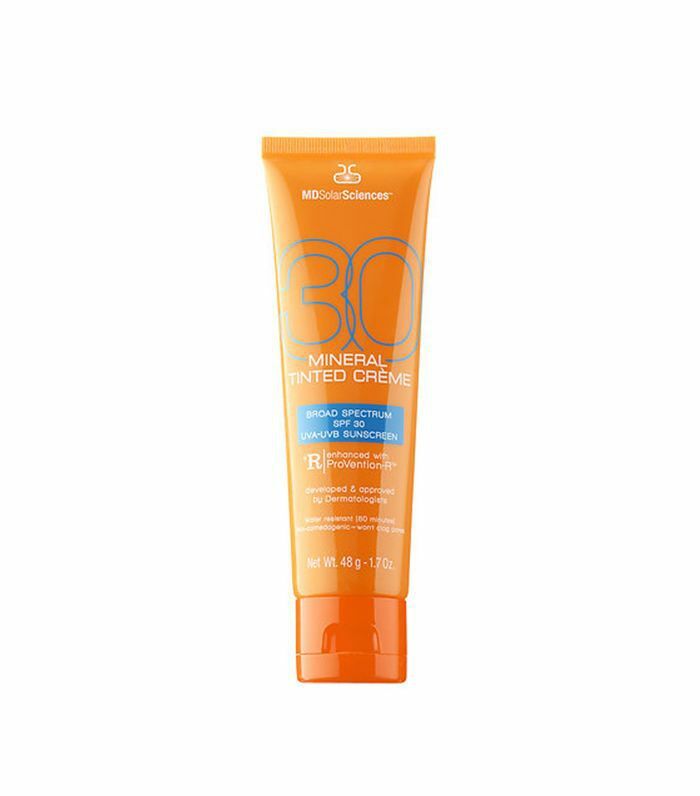 Also coming in at 95, you know this sunscreen will be gentle on your skin since it's specifically formulated to be kind to baby skin. 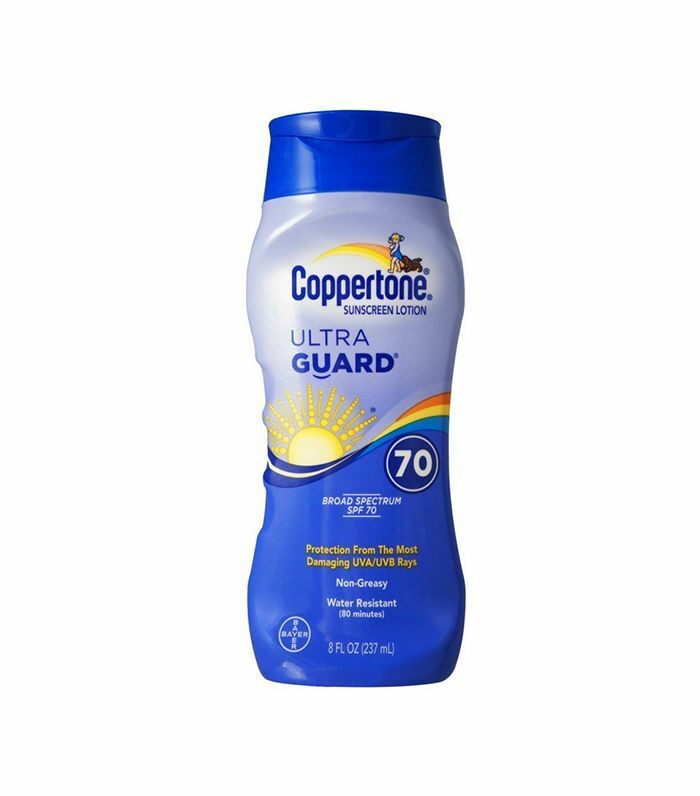 This SPF 70 sunscreen scored a 94 from Consumer Reports. It's a dermatologist-tested, ultra-moisturizing lotion with vitamin E and water-resistant for 80 minutes. 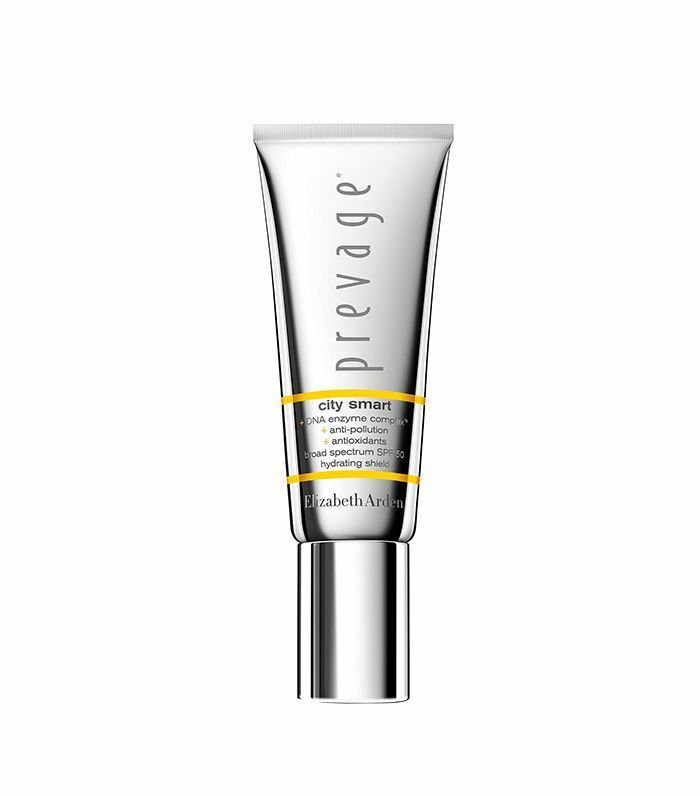 This sunscreen is sheer, lightweight, and filled with hyaluronic acid to deeply plump and hydrate skin while you protect. 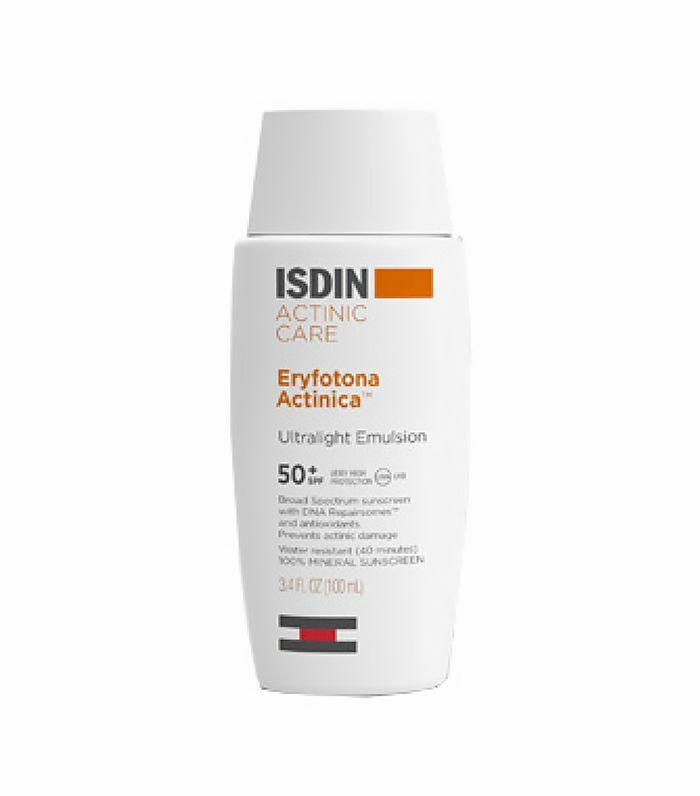 This formula is infused with DNA Enzyme Complex to limit the effects of aging and strengthen your skin. Not just a protector from harmful rays, this lightweight, whipped formula has antioxidants like vitamin C to protect against other environmental aggressors. I've heard so many beauty editors sing the praises of this sunscreen with DNA Repairsomes to help repair existing DNA damage. 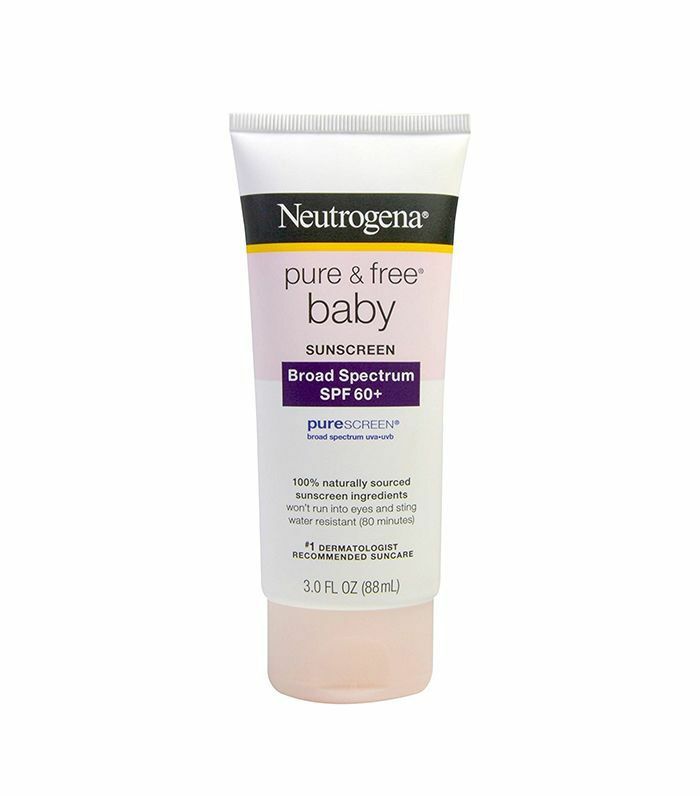 Free of fragrance, parabens, phthalates, dyes, and irritating chemicals, this sunscreen lotion is gentle enough to be used on all skin types.